The Way Digital Marketing was founded in 2015 by Jeremy Scott former Vice President of Digital Marketing at RLHC, a leading hotel management company based in Spokane, Washington. 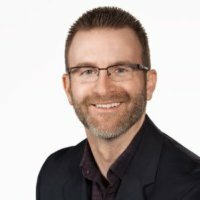 During Jeremy’s 14 year career at RLHC he managed multi-million dollar advertising budgets worth over $20 million in annual sales. In addition to digital advertising Jeremy has extensive experience in website development (Desktop/mobile), email marketing programs and social media strategy and advertising. The Way Digital Marketing is built upon best in class digital marketing strategy and services tailored for the needs of small business. "Being successful online does not need to be complicated or expensive, just well thought out. I want to provide digital marketing services that are best in class and tailored to the unique needs of small business owners." Jeremy Scott, Owner of The Way Digital Marketing.